Hotel River, Florence. River Hotel Florence. 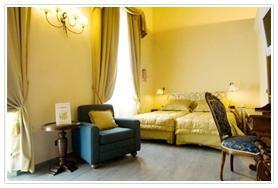 River Hotel is a 4-star facility situated in a wonderful 19th century building in Florence. Recently renovated, it is along Arno river’s bank, in the historic district of Santa Croce. Our hotel is just 10 minutes on foot far from Ponte Vecchio, Uffizi Museum and Santa Maria del Fiore Cathedral. Our friendly staff and the city of Florence are ready to welcome you warmly in this wonderful building.